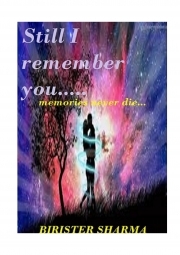 Description of "Still I remember you (eBook)"
Love glimpses you fresh hope! He loved her beloved the moment he caught her first sight. She has stolen his tender love forever. She becomes his life. He gave up everything for her; even he is willing to do anything for her happiness. For him, she is only the mission of his life. He waited and waited for her answer more than a year like a thirsty bird. Then, the moment of happiness arrive in his life when she accepted his proposal. At once, his deserted life transformed into new looks. His barren land of heart starts blooming a beautiful flower of love. His love sour the zenith of sky. He can bring anything for her happiness. He is living and dying for her love. His life and his world are only with her love. He dreams for her. He lives for her. She is everything for him. He can’t live without her love. However, one day she eloped with somebody, forgetting his true love, and leaving him all alone to die. He is stunned to death when he discovers about her betrayal. He couldn’t figure out anything. He wept. All of a sudden his life beautiful world shuttered and crumbled down, and engulfed with dark clouds. He has no hope of his life. He has lost all the flavors of his life. He is lying death. But life goes on….. But he couldn’t forget her beloved. Still I remember you, is a story of love, which recalls you your first love. It’s a collection of romantic poems. You’re the Goddess of love. I light the candles of love. I offer you my garland of love. My world is only with your love. You’re my idol of love. And fill my life with your beautiful love. Birister Sharma is a graduate in Journalism & Mass Communication. He is working as a freelance journalist. He is a writer/author/poet/blogger. His areas of interest are reading, writing, singing, watching movies, playing cricket & traveling a lot. Reviews of "Still I remember you (eBook)"